The expansion includes a new dining area, a second pizza oven, walk up beer bar with eight taps and a beer cooler for beverages to drink at the restaurant or take to-go. 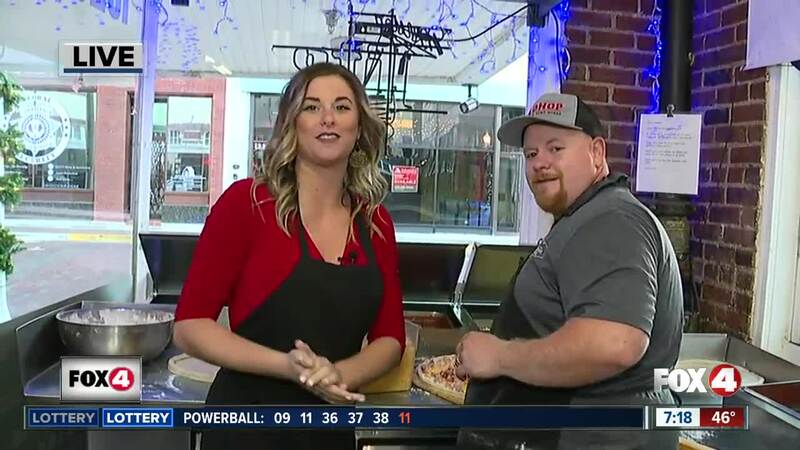 DOWNTOWN FORT MYERS, Fla. — Downtown House of Pizza invites the public for a grand opening celebration on Friday night, December 7th, in honor of the new restaurant expansion. The Fort Myers Chamber of Commerce will participate in a ribbon cutting ceremony at a private reception from 4 to 6 p.m. The grand opening celebration will begin at 6 p.m. and you are asked to bring unwrapped toys on behalf of the Abuse Counseling and Treatment of Fort Myers.